Click on photos to enlarge for detail. 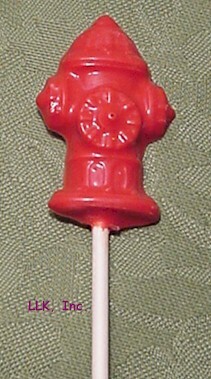 2.5 oz New York City Taxi gift stick. 5 solid 1/2 oz. 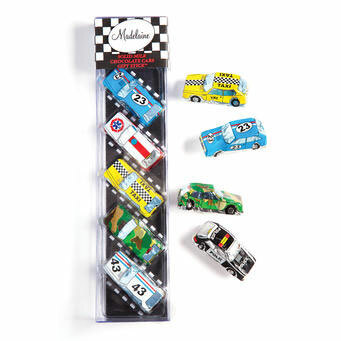 premium milk chocolate cars wrapped in Italian foil featuring New York City's famous yellow taxi cabs in each gift stick. 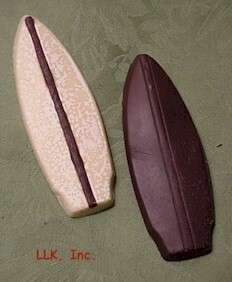 Kosher OUD. IMPORTANT CASE SHIPPING INFO! Solid 1/2 oz. 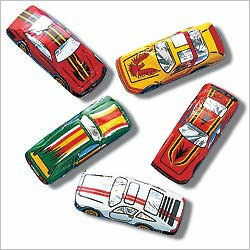 premium milk chocolate cars wrapped in Italian foil featuring assorted designs in race cars, cop cars and taxies and more. 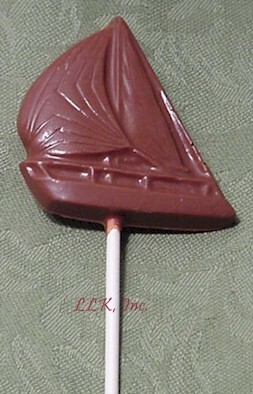 Sold in 100 pc case, 300 pc case or gift 16 pack 5 pc sticks displays. 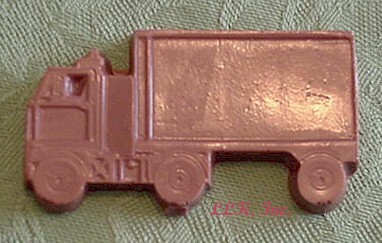 Solid, 2 X 7/8 X 3/4" ea. Kosher OUD. IMPORTANT CASE SHIPPING INFO! 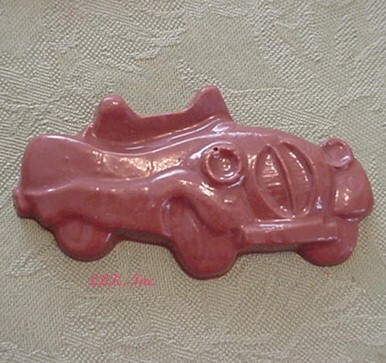 Solid molded milk chocolate cars come designed as, race cars. 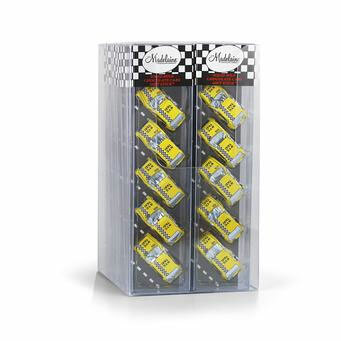 Sold in 3 counter top displays with 60 cars in each or one counter display of 60 or 20 pc. bag. 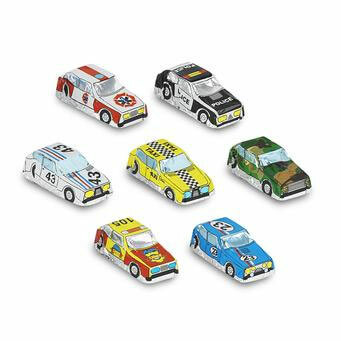 Great for Nascar buffs, graduation joke, Father's Day, car collector, birthday party favors. 1 oz. solid, 3 x 1 3/16 x 1" ea. Kosher OUD. IMPORTANT CASE SHIPPING INFO! 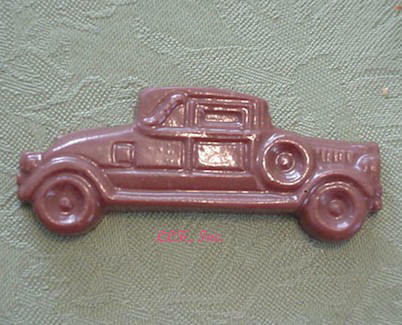 Solid molded milk chocolate cars come designed as, race cars. 72 piece case is shipped with two 36 pc displayers. 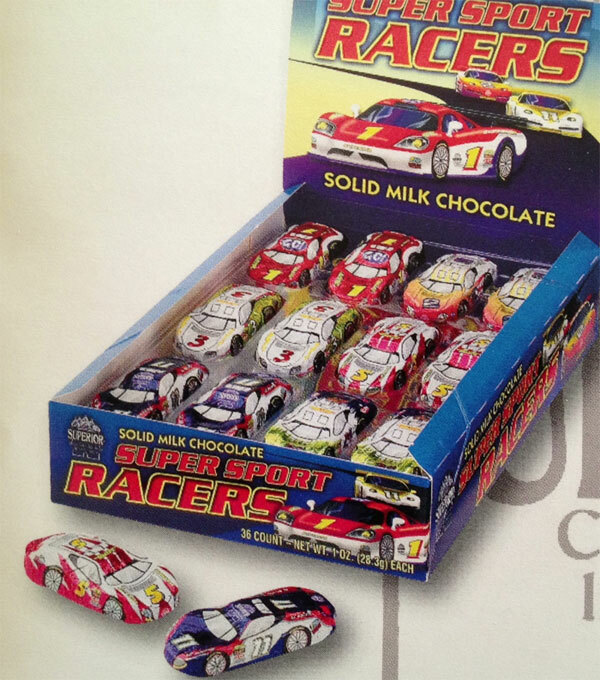 Great for Nascar buffs, graduation joke, Father's Day, car collector, birthday party favors. 1 oz. solid, 3 x 1 3/16 x 1" ea. Kosher OUD. IMPORTANT CASE SHIPPING INFO! 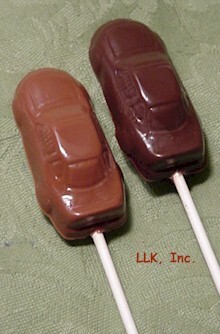 Stock Car Chocolate Lollipop - $2.25 ea. 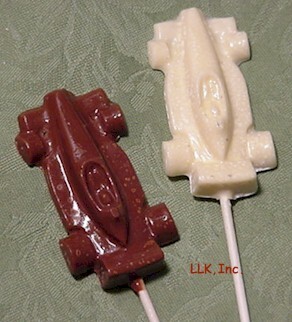 Chocolate Formula Race Car Lollipop - $2.50 ea. 1.5 oz., gift bagged, tied with ribbon. 2 oz., clear gift boxed, tied with ribbon. 1 oz., gift bagged, tied with ribbon. 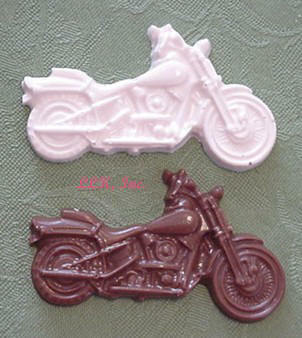 Chocolate Motorcycle - $3.00 ea. 2.7 oz., gift bagged, tied with ribbon. 2 oz., gift bagged, tied with ribbon. 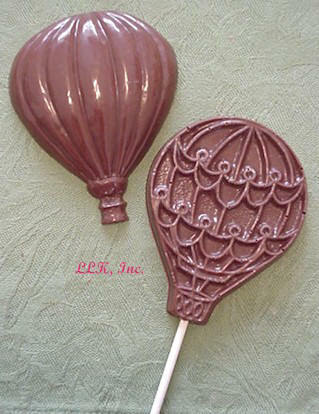 Chocolate Hot Air Balloon & Lollipop - $3.25 ea. 2 .2 oz., gift bagged, tied with ribbon. 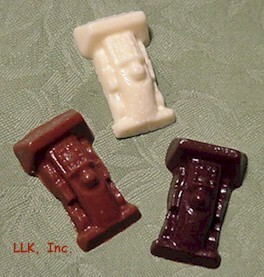 Chocolate mobile home - 3 oz., gift bagged, tied with ribbon. 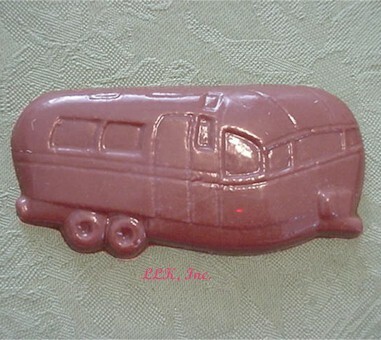 Edible silver to make it look like an Airstream, adds $1.50. 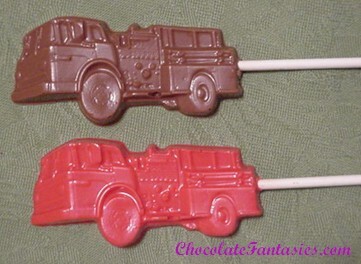 Chocolate Fire Truck Lollipop - $3.00 ea. 1.5 oz. gift bagged, tied with ribbon. .5 oz. gift bagged, tied with ribbon.